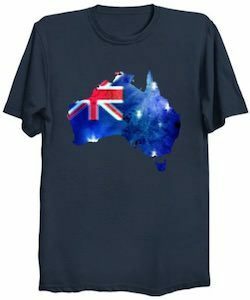 If you are ready to travel the world then add a luggage strap to your suitcase to make it easy to spot and prevent it form accidentally opening. 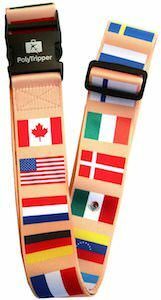 This is a flags of the wold luggage strap is something to check out. 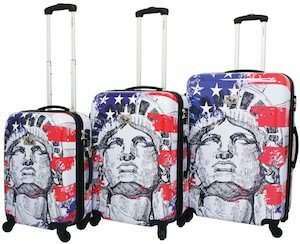 The luggage strap has a cream color background color and o top of that you can find many different flags and that makes it perfect for a world traveler like you. 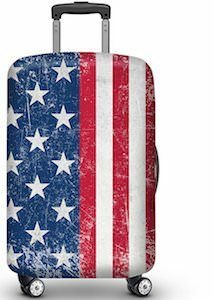 The flag luggage strap is 2 inches wide and 68 inches long and is adjustable in size to make it fitting perfectly around your bag. And the strong buckle will keeps close but is still easy enough to open. 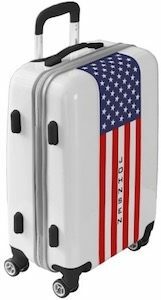 We all know about luggage tag but this one is different. 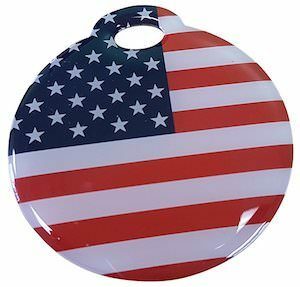 This is a smart id luggage tag that comes in many designs like the US and Canadian flags or just plain color and this luggage tag is made from stainless steel and even has a steel cable to connect it to you bag. The nice thing about this luggage tag is that is has a code on that back and a phone number people can call to make you recover you luggage so no real address on your luggage and a free service that coordinate your luggage recovery. A tag like this is great for on your suitcase but maybe even on your laptop bag so that it can get back to you if lost. 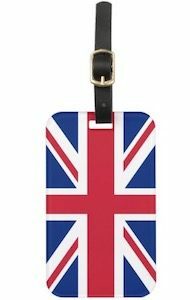 If you want a luggage tag that shows that you are Irish or like St Patrick’s Day then this luggage tag is what you need. The bag tag shows on the front the Irish flag and on the white center, it shows a worn looking shamrock. Ireland may not be your destination but this luggage tag makes it clear that you like to party. On the back the luggage tag can have your information printed on the card or have a card window so that you can keep changing you address if needed. 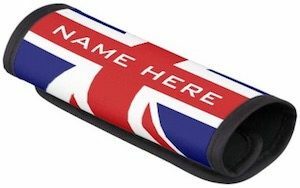 Luggage tags are a great way to personalize your luggage and you can change it up to fit the season.